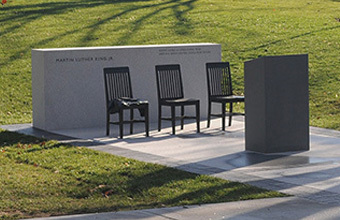 This month, we honor the life of Dr. Martin Luther King, Jr. Our community has many events throughout the next two weeks to reflect on and be inspired by his legacy. Our theme for our celebration is, “A Call to Shape the Future: Building a Place for All.” Dr. King was a prophetic witness, advocate, and organizer for civil rights, peace, and social justice. His life inspires many to continue this work to protect and promote the dignity of all persons. We have many present-day examples in our communities who are also advocates for peace and justice. Let us be inspired by this cloud of witnesses and have the courage to follow our own call to help build a better world that respects all people. As our second reading highlights, “There are many different gifts, but it is always the same Spirit”. We each have a unique part to play in helping our communities build the common good. In his “Letter from Birmingham Jail”, Dr. King says, “Human progress never rolls in on wheels of inevitability; it comes through the tireless efforts of [people] willing to be coworkers with God, and without this hard work, time itself becomes an ally of the forces of social stagnation.” Let our faith ground us and inspire us to action, and help us remember we are not alone in this work. Let us rely on one another to live out this vision to shape our future by actively building a place for all. It’s wonderful to see you again and welcome you to the forefront of my attention.